Bryan is cofounder of Outpost and heads the company’s investment and expansion strategy. Prior to Outpost, Bryan spent much of his earlier career brokering venture capital and private equity investments around Asia for a boutique American advisory firm, Liberty Global. His focus was on Asian emerging markets, first out of Shanghai and then later based in Jakarta. 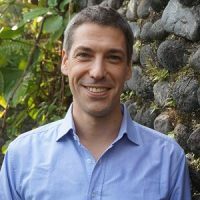 Earlier in his career, Bryan worked on financing international development projects in Eastern Europe, Latin America and South Asia with several NGOs, Governments and the U.S. Peace Corps. Since relocating to Indonesia permanently as a start-up consultant, Bryan has been instrumental in sharing his investment expertise and assisting the elevation of Asia-based start-ups to the global stage. Bryan earned a BA from Grinnell College, and an MA in international business and finance from The Fletcher School at Tufts University.